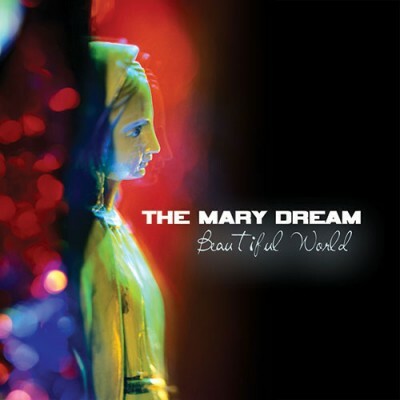 “Beautiful World” is The Mary Dream’s critically acclaimed full-length debut on their own label SuperUniverse Records, and was written, recorded and produced almost entirely by Elise Bellew and Blake Ryan Dayton, except for the drum tracks, which were recorded by producer Richie Biggs (The Civil Wars, Switchfoot, Nichole Nordeman, etc) with Nashville drummer Steve Brewster (Jewel, Faith Hill, etc). The record was also mixed and mastered by Richie Biggs at The Art House in Nashville. Beautiful World is a collection of 11 bittersweet and compelling songs that are both dreamy and melodic. From the optimistic title track Beautiful World, to the hauntingly beautiful Say My Name, this record is a must for listeners who are seeking to be moved in a deep and genuine way. Since it’s release, numerous songs from Beautiful World have been used in film and television, with prominent features that include “How You Love Me” on ABC’s All My Children, “More” on MTV’s Real World Denver, “Stay” on MTV’s Real World Hollywood, “Beautiful World” on CBC’s Heartland, and several more songs on MTV’s Teen Mom, Seasons 3, 4, and currently Season 5. In addition, due to its success on Animoto.com, the title track “Beautiful World” led to numerous fan videos on YouTube as an optimistic and sentimental pop anthem.